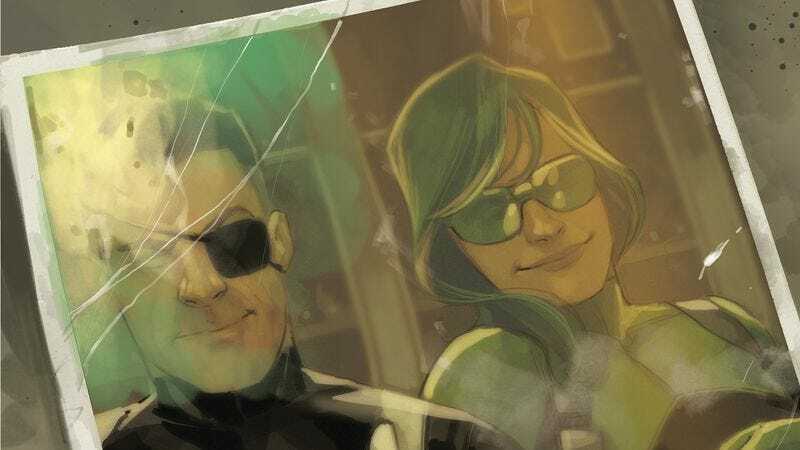 Gillen is joined by a stellar line-up of artists for his Marvel goodbye, with Felipe Andrade and colorist Rachelle Rosenberg tackling the main action while guest artists provide striking two-page splashes showing major moments in The Shield’s history. Andrade and Rosenberg’s art starts this preview of Siege #3 with intense energy, sending the reader rocketing toward a gorgeous painted splash by Julian Totino Tedesco showing Nick the Fury and an army of Ultrons facing off with Brand’s army. It’s an explosive opening, and the heat is only going to intensify as the miniseries nears its conclusion.